I went by our new rental yesterday to see the progress. Our bedroom was done and I absolutely adore the way it turned out. The room is small, very small. Painting it white will not make it look any better once our king bed is moved in so I finally did what I have been wanting to do for years, go dark! I went with Martha Stewart gabardine from Home Depot. Depends on time of day it either looks deep green, deep blue, or dark gray. I think it makes the gorgeous molding and brass hardware really shine. 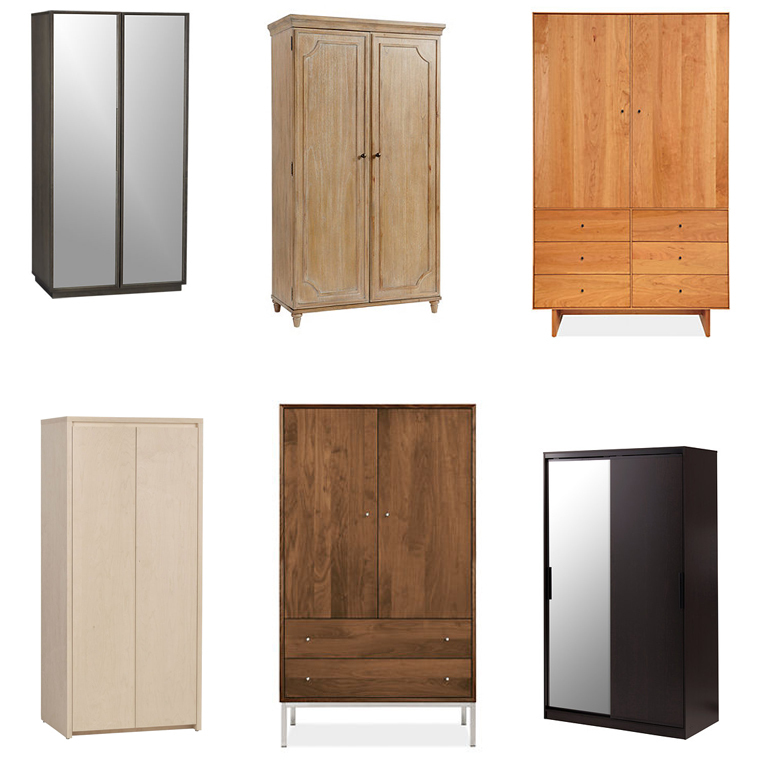 The one thing I know we will need for our bedroom is some sort of wardrobe. You can see a peek of the closet above and in reality you are pretty much seeing it all. it might be 3x2, but I believe that is an overestimation. HA. To the right of the closet we have space for some sort of wardrobe. These are a few that have caught my eye. I keep on going back and forth whether this is somewhere we want to invest or keep on the cheap. It has to function and not fall apart, but at the same time it is in our bedroom. Any thoughts? Or have one you love and would recommend?